Jordan Brand is making noise with their impressive 2014 All-Star “Crescent City” Collection, which includes the latest colorway of JB’s flagship model last year. 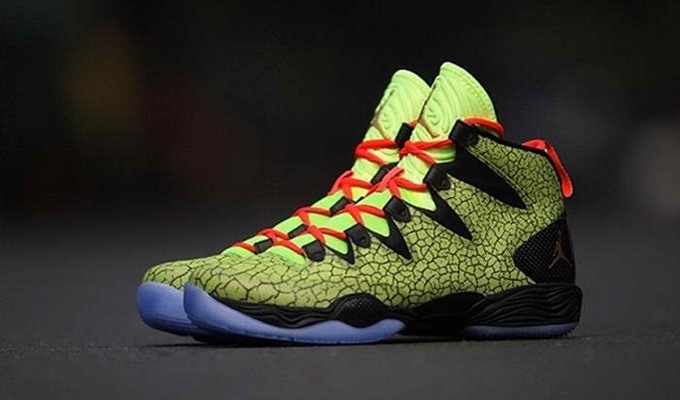 The Air Jordan XX8 SE “All-Star” is now available on the sneaker market. This edition is listed as the Volt Ice/Metallic Gold-Black-Infrared 23, which features a full elephant print volt upper part with a solid volt green tongue and black accents throughout the shoe. It also sports a gold Jumpman log, infrared laces, and translucent blue outsole. This could be one of the last colorways of the 28th Air Jordan before unveiling JB’s flagship model this year so make sure to grab your own pair soon.